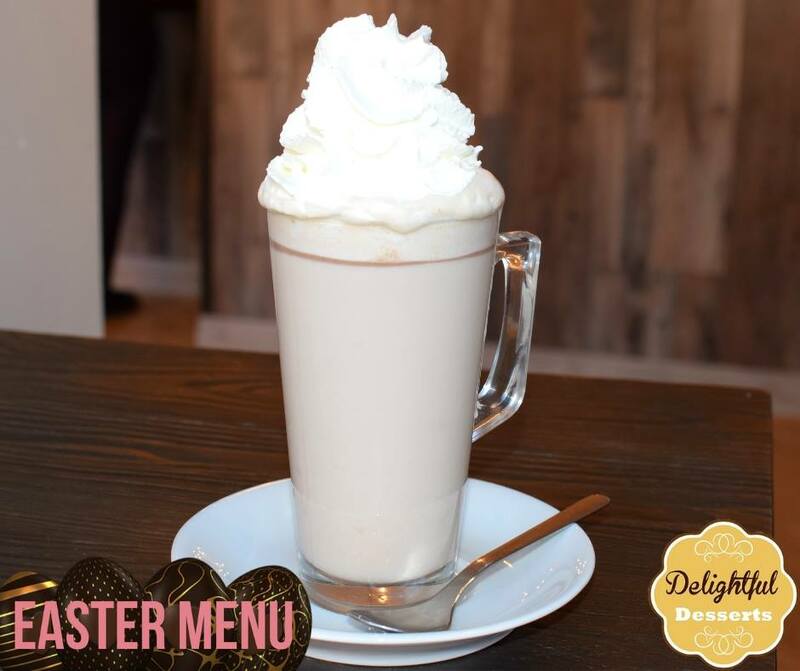 Who fancies an eggstra special treat this month for April? Well hunt no further… Our Easter menu is here! Our Easter menu will be available for the whole month of April. We have five truly-scrumptious options, all topped and filled with a hint of Cadbury’s. 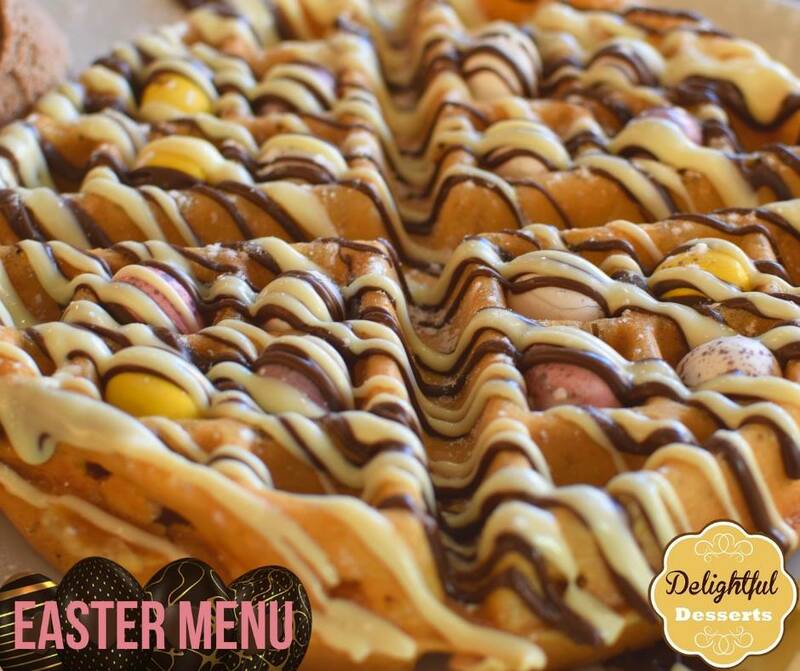 Cadbury’s Mini Egg Waffle, a golden freshly made waffle sprinkled with Cabury’s Mini eggs, drizzled with heavenly white chocolate and milk chocolate sauce. Served with a scoop of chocolate ice cream. It’s a chocolate lovers dream! 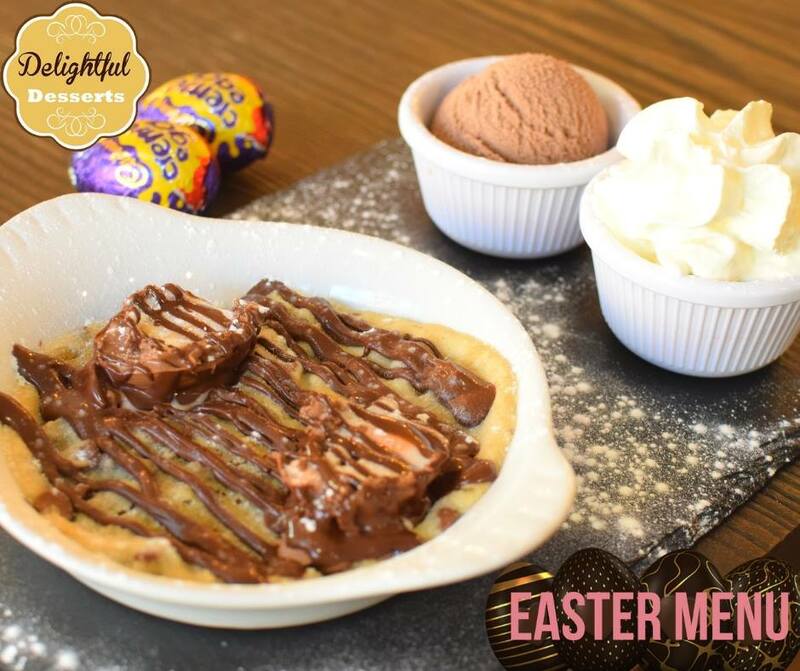 Cadbury’s Mini Egg Crepe, a soft freshly made crepe sprinkled with Cadbury’s Mini Eggs, drizzled with delicious white and milk chocolate. Served with a scoop of chocolate ice cream. Chocoholics delight! Cadbury’s Creme Egg Cookie Dough, soft milk chocolate chip cookie dough topped with an indulgent gooey Cadbury’s Creme Egg, drizzled with a rich milk chocolate sauce. Served with a scoop of chocolate ice cream. The perfect combination! 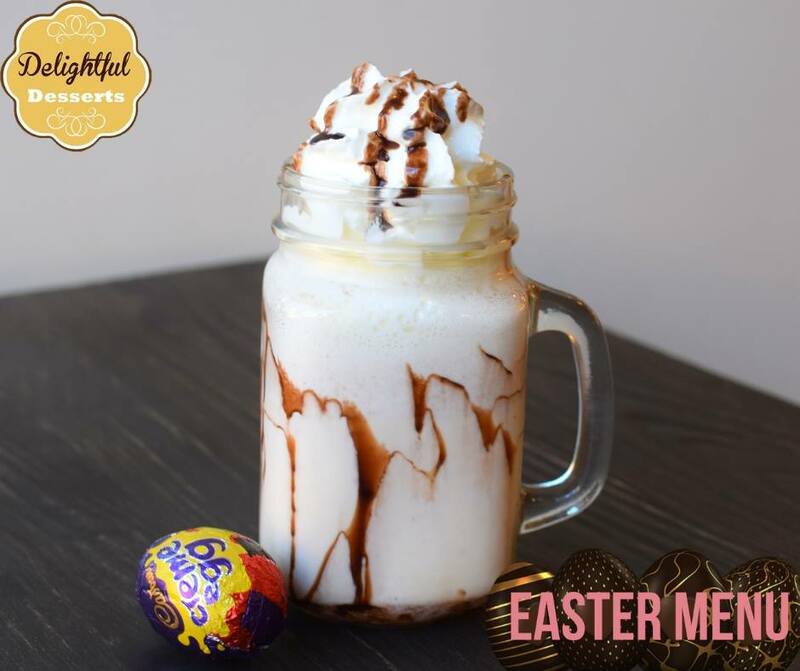 Cadbury’s Creme Egg Hot Choc, a whole Cadbury’s Creme Egg dropped into a glass of textured hot frothed chocolatey milk to make a sweet hot chocolatey drink. The warm way to enjoy a Creme Egg. 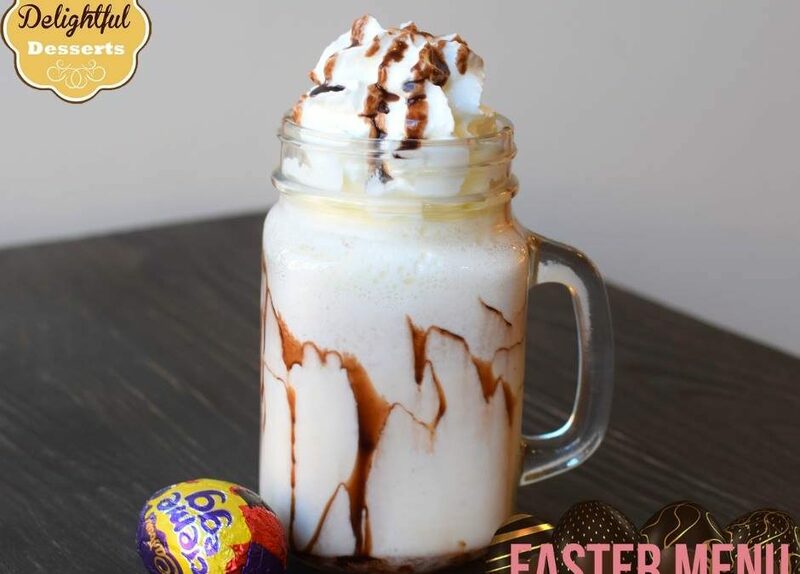 Cadbury’s Creme Egg Milkshake, our finest creamy vanilla ice cream blended together with a whole Cadbury’s creme egg, and topped with whipped cream. Simply Delightful! All our stores have our Easter menu on display. 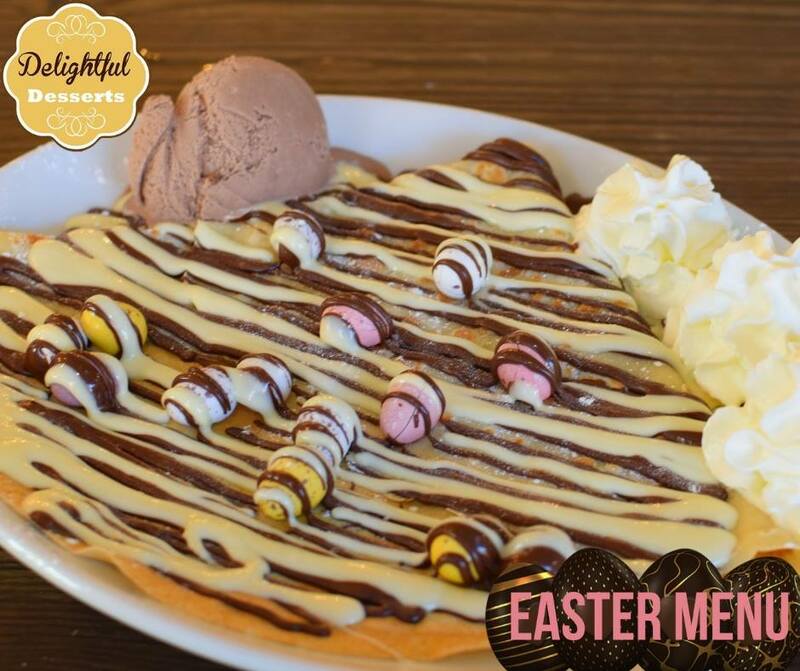 If you don’t want to miss out, make sure you follow your local Delightful Desserts on Facebook for information on the menu throughout the month.